Celebrate your event with us and have an experience you won’t forget! 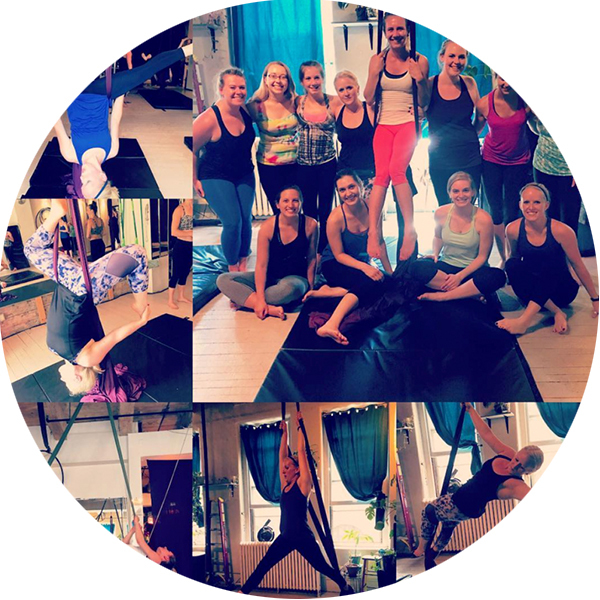 You and up to 15 people can test out some circus skills with a private party! 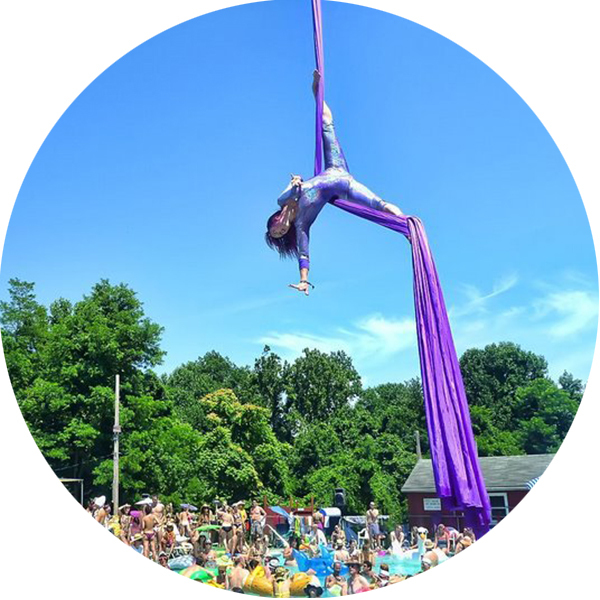 Your 60, 90, or 120-minute session will include a warm up, stretching, discussion of fundamental skills and the chance to try your hand at new tricks on lyra (hoop), tissu (fabric), or partner acrobatics/acrobalance. No prior experience is necessary and cameras are greatly encouraged! To secure your party date, a non-refundable deposit of $100 is due at the time of scheduling. This deposit serves to secure your reservation and will be subtracted from the total balance. It is NOT an additional fee and is only non-refundable in the event of canceling the reservation. 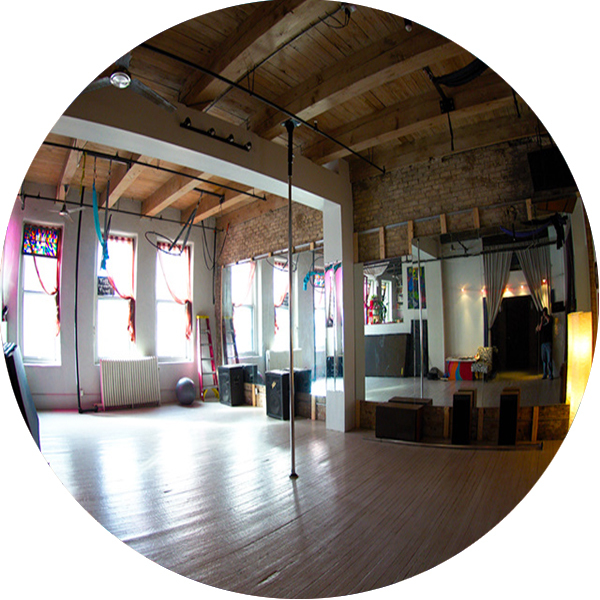 Stomping Ground Studio owner and coach, Zyra, can be hired to entertain your next event. Book her for stilting, partner acrobatics, and/or aerial performance. SGS has a portable aerial rig and can be set up just about anywhere for an awesome aerial show! Schedule a private or semi-private lesson to focus on accessing your strengths and weaknesses, to learn conditioning exercises to address problem areas, and to get one on one attention and feedback from owner and coach, Kristen.